How does the Activity Summary work? Quill color codes student scores to indicate the level of proficiency. 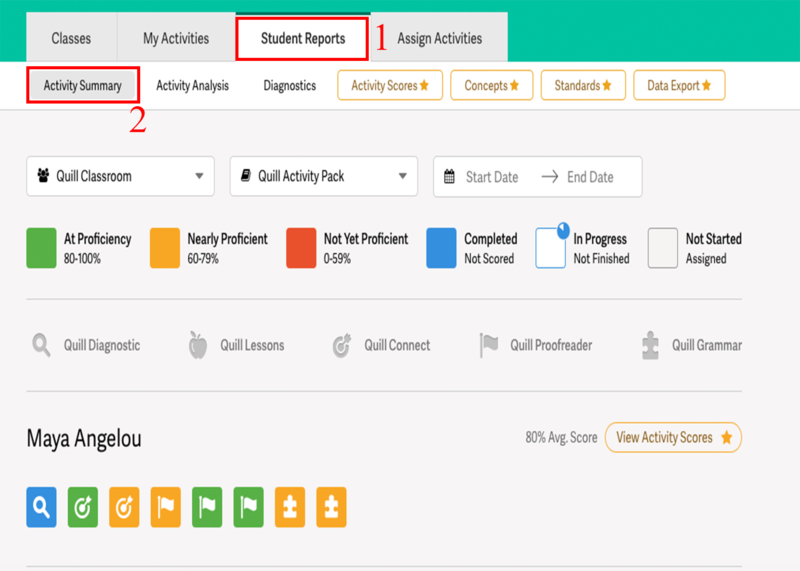 Quill uses a stoplight system of green, yellow, and red scores. 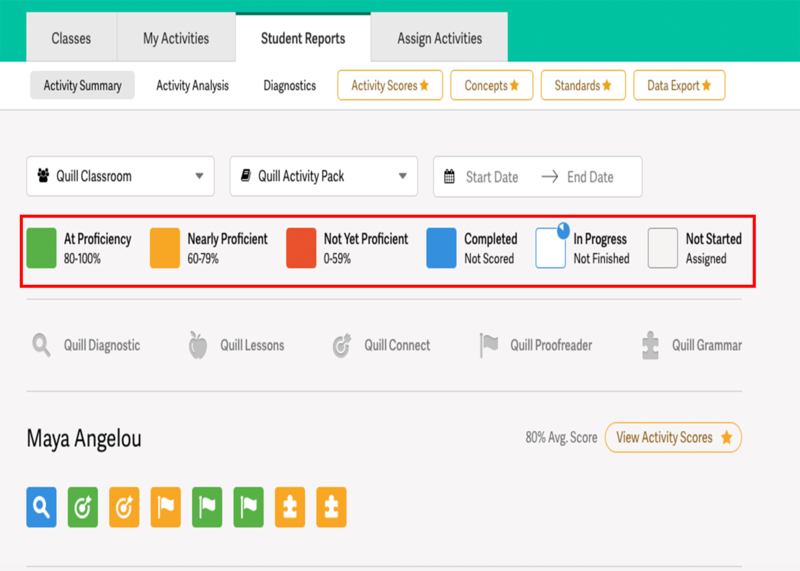 A green square indicates that the student scored 80-100%. A yellow square indicates the student scored 60-79%. A red square indicates that the student scored less than 60%. The score breakdown key is located at the top of the screen. The completed activities will appear in color, the incomplete activities will appear in gray, and the in-progress activities will appear in white with a timer in the upper right-hand corner of the box. 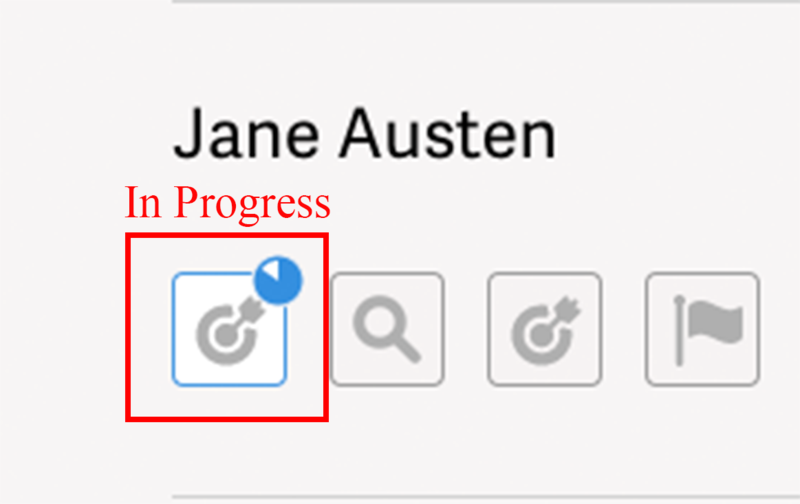 The magnifying glass icon signifies the Quill Diagnostic, the target icon signifies Quill Connect activities, the flag icon signifies Quill Proofreader activities, the puzzle piece icon signifies Quill Grammar activities, and the apple icon signifies Quill Lessons. 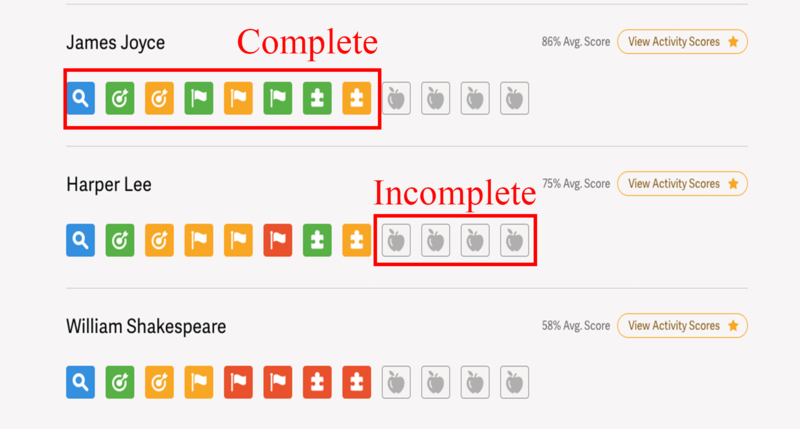 To view a comprehensive performance breakdown for an individual activity, hover your mouse over the activity box.